Even in this bull market, all good things must come to an end. The Federal Reserve is expected to close a chapter in history this week and announce the conclusion of its massive stimulus program. Known as quantitative easing, the program is widely credited with driving investors back into stocks in the aftermath of the financial crisis. "I think to some extent quantitative easing has provided an assurance to investors that (has) kept them optimistic," said Bruce McCain, Chief Investment Strategist of Key Private Bank in Cleveland, Ohio. 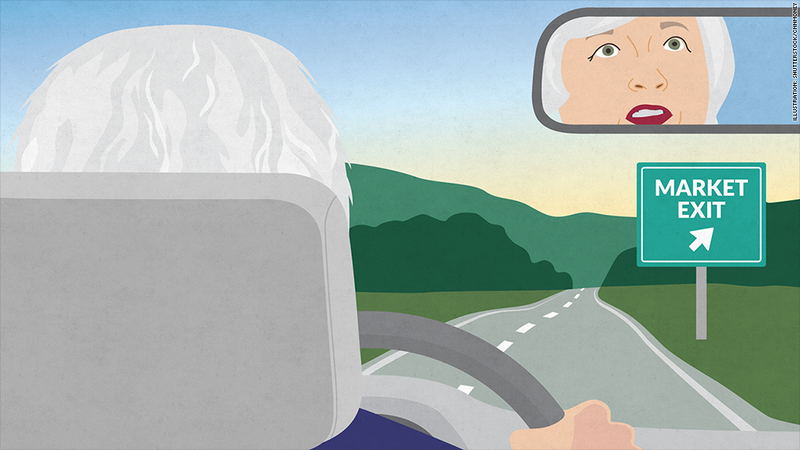 "Now we're going to have to see whether investors can ride without training wheels." While there has been some chatter on Wall Street that the Fed would delay the expiration of stimulus due to concerns about weak growth and dangerously low inflation abroad, most analysts envision the central bank halting its bond purchases next month as previously signaled by Fed Chairwoman Janet Yellen. "She hasn't wavered, everything she's said she's going to do, she's done it," stated JJ Kinahan, Chief Strategist at TD Ameritrade, of Yellen. "Her job is not to make the stock market go up. It's to keep the economy stable, and in her view the economy is strong enough." 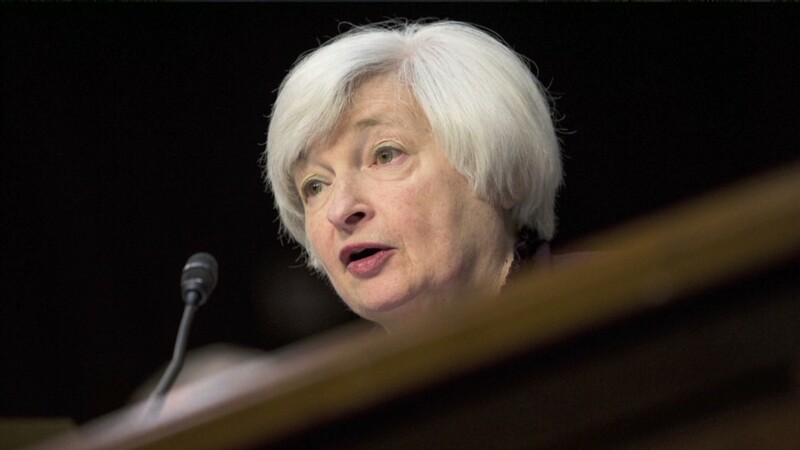 Fed Chief Janet Yellen is preparing to get off the road of economic stimulus. Then there's the question of interest rates. About a month ago, investors were trying desperately to guess when the Fed would raise it's key interest rate, which has been near zero since the recession. But now, those worries about feeble economic and inflationary growth around the world have lead to conviction on Wall Street that rates will stay low for the foreseeable future. Most investors believe the first rate hike won't occur before June 2015, and a good chorus are betting it doesn't happen until the end of next year or later. Of course, the Fed isn't the only game in town this week. Earnings continue to be on the forefront of investors' minds as they try to gauge how corporate America is faring. Coming into earnings season, there was anxiety in some corners of the market that the slowdown in Europe could reverberate to U.S. multinational companies that derive a good chunk of their profits from overseas. Related: Just how sick are Europe's top banks? So far, however, those fears have yet to materialize. Caterpillar (CAT)and 3M Company (MMM), two Dow components considered economic bellwethers for their ties to the global construction and industrial sectors, reported stellar results last week and raised their outlook for the rest of the year. As for the firms that haven't done as well, such as McDonalds (MCD), Coca-Cola (KO), and IBM, (IBM) Kinahan believes their woes are specific to their individual situations rather than the economy as a whole. And he noted that CEOs have sounded confident on their quarterly conference calls. "They see North America, particularly the U.S., as being able to hang in there and hopefully help the rest of the world start to grow," he said. Oh, and what about Ebola? Most market observers say not to freak out, even though the first case of the virus has been confirmed in New York and the disease did spook the markets a few weeks back. Rather, McCain feels that investors' initial jitters had less to do with Ebola itself and more about overall unease in a market that hadn't taken a breather in quite some time. "There's that tone of cautiousness that makes us more vulnerable to Ebola or ISIS scares," he asserted. "But they don't have a lot to do with the economic situation."